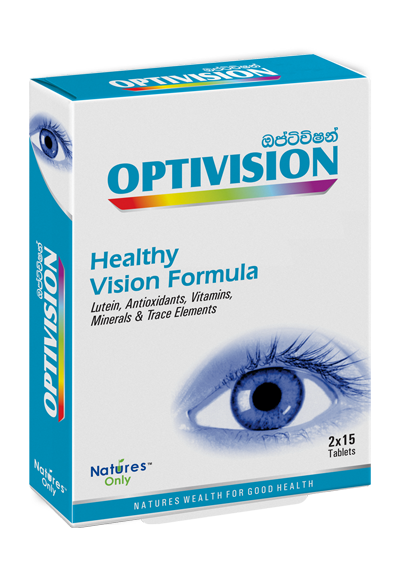 Optivision contains lutein and beta-carotene that provide necessary visual pigments for good eyesight. Vitamin C and E that are essential for visual health are present in Optivision. 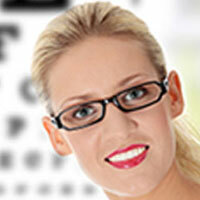 Micronutrients play an important role in function and health maintenance for the eye. Lutein, a member of the carotenoid family forms the macular pigment, filter out the damaging blue light component from the sunlight as well as the ultraviolet light, which leads to improved contrast sensitivity and less problems with screen glare. Furthermore, the macular pigment has antioxidant and anti-inflammatory effects. These properties are important for the prevention and treatment of degenerative eye diseases like age-related macular degeneration. One tablet two times a day after food.